Don a CapU-branded t-shirt, sweatshirt, baseball cap, or whatever other CapU apparel you have every Tuesday, beginning January 16, 2018, and show your pride. Cap♥Tuesdays will run until June 2019. Why Tuesdays? Well, Tuesday happens to be the day during the week when there are usually the greatest number of people on campus. This initiative was led by Kari Wharton, Manager of Advancement Services at Capilano University and made possible through the tireless efforts of Brian Ball, Manager, Bookstore & Print Services and the University’s Communications & Marketing team. When asked what she is hoping to see on January 16, Kari says she would like to “walk in the front doors and see lots of CapU clothing on students, faculty and employees”. While you are of course welcome to wear CapU apparel you have purchased previously, check out the special line of 50th Anniversary clothing at the Bookstore. Five per cent of all sales from the 50th Anniversary collection will be donated to the CapU student bursary fund. Be sure to save your tag! On specially marked items in the collection, there is a tag that can be redeemed for a 50th anniversary commemorative item at CapFest, which will take place on September 22, 2018. 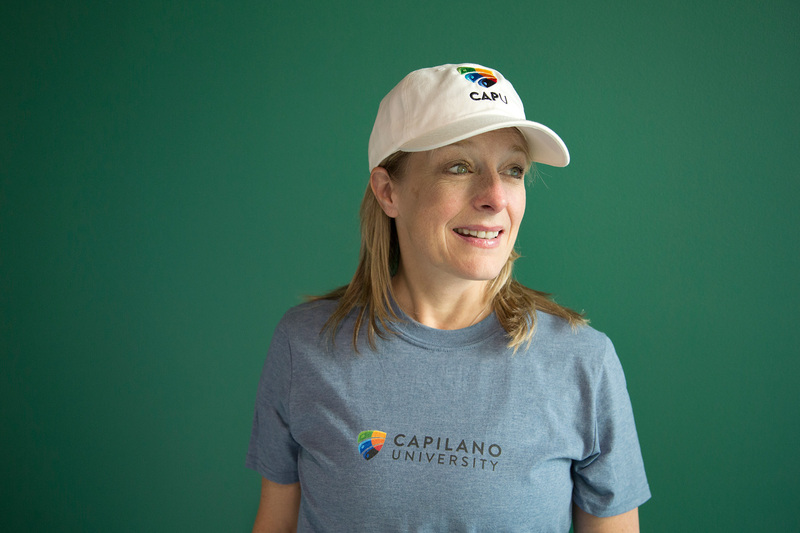 When you’re wearing your CapU t-shirt, you’re helping to raise our profile and showing your pride!